The top chip stackers in Oz. Find out about their play style and what makes these behemoths tick. Daniel Negreanu. Phil Ivey. Chris Moneymaker. Phil Hellmuth. These names all ring familiar to anyone who follows pro poker games; they are consistent winners and considered some of the best players on the planet. But what about the champions of Down Under? 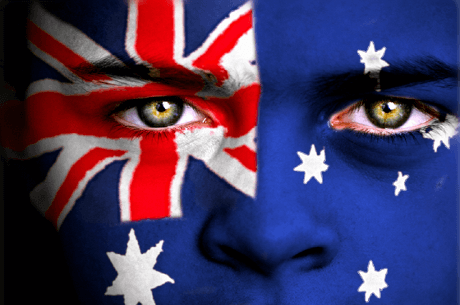 Poker in Australia is booming right now – let’s take a closer look at Oz’s top players. Australian native Hachem, also known as Diamond Joe, is considered the top poker player in Australia with total tournament winnings of nearly twelve million dollars. Like a lot of poker players, Joe started his path down the poker stardom lane after his main career hit a snag. Joe trained and worked as a chiropractor in Melbourne for thirteen years until he developed a rare blood disorder that affected the blood vessels in his hand and was forced to give up his profession. In between career avenues he started playing poker, both in casinos and online, on a frequent basis. At first his playing was sloppy as Joe had trouble controlling his temper. After years of casual play, he learned to control his temperamental nature and developed a stone cold poker face. After playing consistently in the Melbourne circuits, he tried his hand at the 2005 World Series of Poker No Limit Hold’em Main Event. He defeated Steve Dannenmann at the final table, luring Steve into an all in after he hit a seven high straight on the flop. His status as a new unknown player quickly evaporated as he demolished his 5618 opponents including legends like Phil Ivey and Johnny Chan, and claimed the first prize of 7,500,000 dollars. Joe continues to play in high stake cash games in Melbourne and Los Angeles. Most of his poker success he can attribute to disciplined and calculated plays and not giving in to the pressure or the lure of an easy kill. Jeff Rossiter ranks in second place of the highest chip earners in our list. At twenty-three years of age, Jeff is a relatively new, and young, face in the pro poker tournament circuit but soon made a name for himself as he ranked in third top tournament poker earners in 2013, behind Tony Gregg and Niklas Heineker. In the 2011 he finished third in the Aussie Millions, where a 5 of diamonds on the river wasn’t enough to beat David Gor’s Ace High flush. The seven hundred thousand dollar prize money was probably an excellent pick me up from that mucked hand. This cemented his career choice as a professional poker player, having dropped out from studying aerospace engineering at age eighteen. Rossiter soon started using his new earnings to allow him to travel to Asia to compete in tournaments in Hong Kong or Macau. There he rapidly developed an appetite for the high risk action found in these poker rooms and soon found himself spending more time there than in his native Australia, only traveling back for tournaments and visa reasons. His career recently hit a high point as he finished first in the GuangDong Millions in Macau, in second place behind Niklas Heinecker, walking away with over three million dollars, which placed him in the top ten sports earners in his field for 2013. He credits most of his success to his experience. Although his five years of playing make him relatively new to the poker world, he made his way through seventy-four tournaments in 2013 alone and actively replays his plays to be able to identify and correct his mistakes. Like his counter-part Rossiter, David Steinke’s poker career is based mostly in Hong Kong and Macau. An established player, he got his first big break in Macau at 2007 when the Asia Pacific Poker Tour introduced Macau for the first time, placing third place and winning 110,592.00 dollars. David feels most comfortable at no limit events, often known as the highest pressure poker there is. In 2009 he pulled his biggest win at the 2009 Aussie Millions, where he took down 807,780.00 dollars. He moved on to win the Macau Cup Championship of 2012 by defeating Roman Babela. At the Final table, both players moved all in where Babela’s Ace Queen was sure to dominate Steicke’s Ace Jack. However in a stroke of luck, Steicke caught a Jack completing his pair, took down the pot and crippled Babela’s stack. Steicke finished off the Czech player in the subsequent round with a pair of nines and Ace kicker over Babela’s suited nine, four.